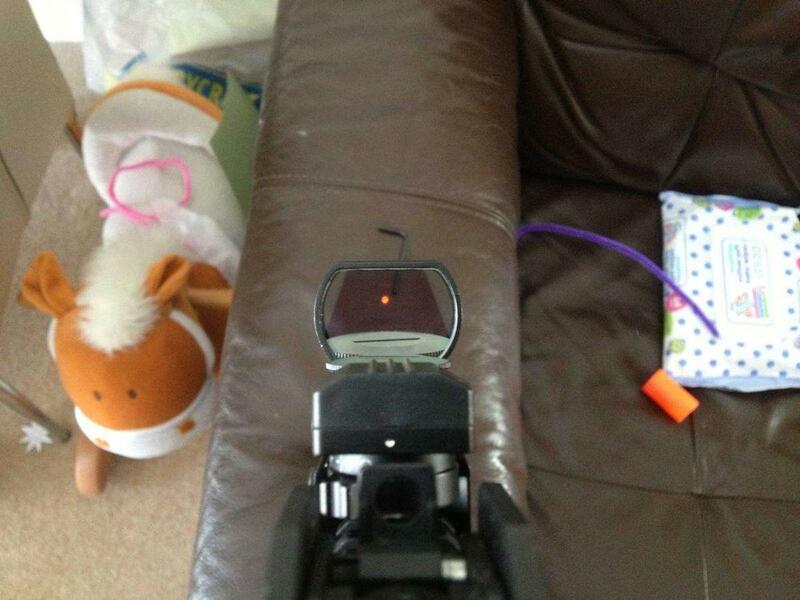 Has anyone got tips/advise on setting up a red dot sight? 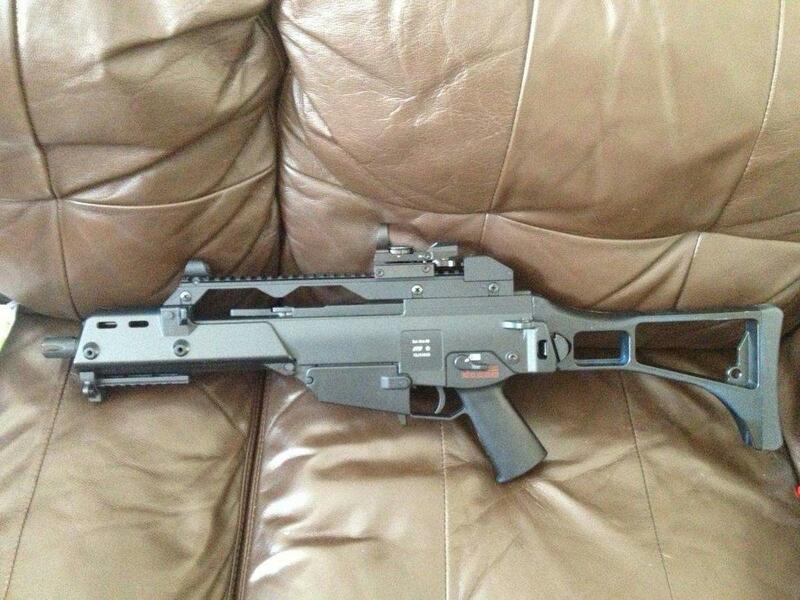 I obviously know how to attach it to my G36, but where on the rail does it sit? As far back as possible, in the middle etc? How do you align it? 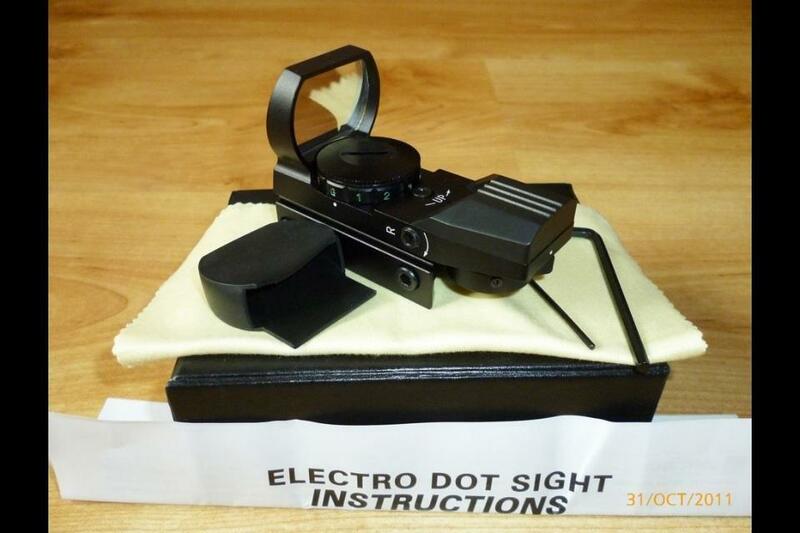 Do you set the dot so it sits on the front iron sight? Any tips and/or advise welcome. at the back looks better IMHO and will give you a larger sight picture. further forwards is further away from you breathing, so is less likely to fog up the screen. Somewhere in the middle is your best bet, but it's really personal preference. Align the dot so that where you put the red dot is where the BB lands. Ignore your iron sights. Thanks for they very straight forward, and simple answer. I like putting my sights either on top of where the magwell is, or right at the back. Alternatively you can put it right at the front of the gun, like the P90 sight. You can then aim round corners with your eye half way down the rail, which means less of you and your gun will be sticking out. Looks weird as hell when doing it but it works. Cheers for that dude. Will have play around. I am a complete noob if I'm honest. Was going to wait before buy a sight but won a auction on eBay and got it quite cheap.